Combine flour, salt, and pepper in a shallow bowl. Whisk the mustard and eggs in another shallow bowl. Combine pecans and breadcrumbs in a third shallow bowl. Dredge each halibut fillet in flour mixture, shaking off excess. Dip halibut in egg mixture to coat; drain excess. 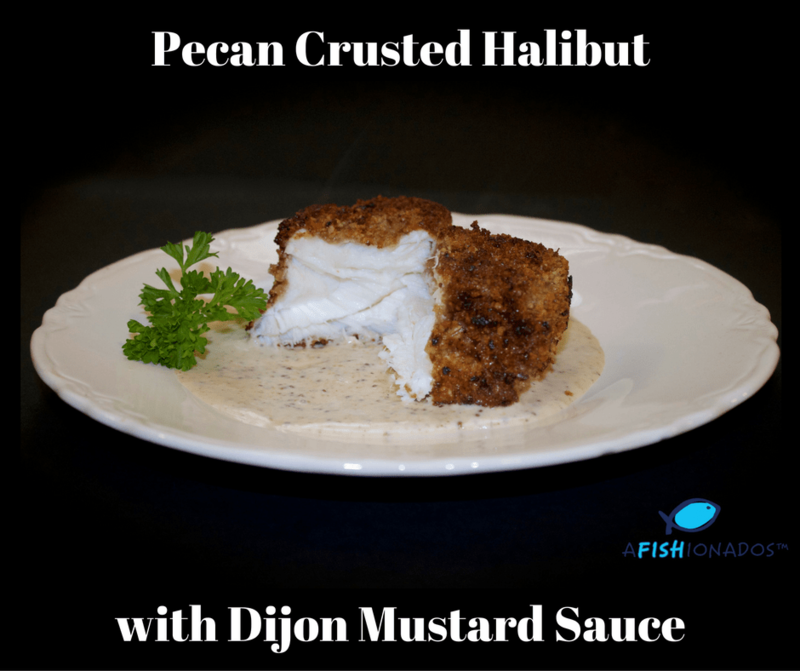 Place halibut in pecan mixture, pressing slightly to coat both sides of the fillet. Melt 2 tablespoons butter over medium heat. Add fillets, in batches, and cook 2 minutes on each side or until lightly browned, adding additional butter as needed. Arrange fillets on a foil-lined baking sheet. Bake at 350° for 10 minutes or until done. Serve with Dijon Cream Sauce. Combine cream and Dijon mustard in a medium saucepan. Whisk constantly over low heat 3 minutes or until heated.